Christianity is not for wimps or the faint of heart. 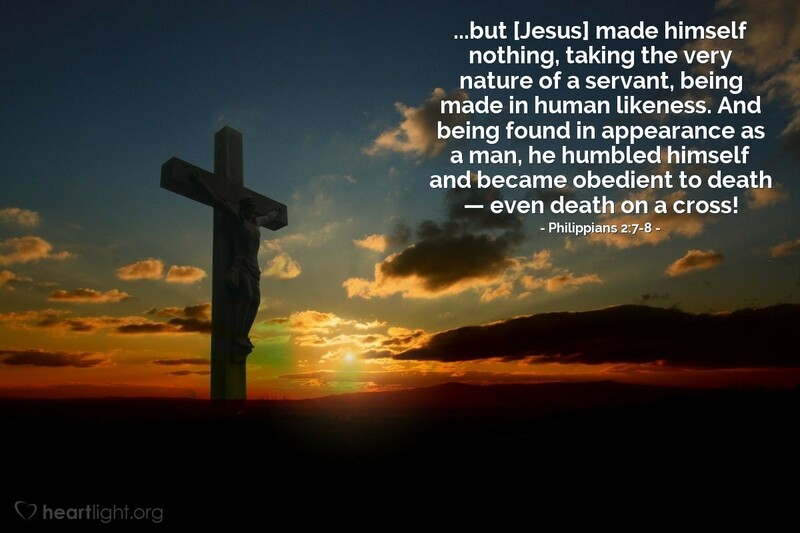 Our example is described by words like... "made himself of no reputation" ..."servant" ..."humbled himself" ..."became obedient" ..."death on a cross!" That's tough stuff. And that is our example. The story of the Jesus may begin with a sweet child, but it also begins with him being placed where animals ate their food. While it may be powerful and precious, it is not saccharine and fake sentiment. It is about the price paid to redeem and the people who are different because they know their Redeemer. Almighty God, loving Father, thank you for placing the Gospel story in the real world where I live. Jesus, thank you for being a Savior who has come into my world and faced its toughest edges. Help me as I learn to be sacrificial, obedient, and humble so that I can be used to help others find your grace. In the name of Jesus, the Lord. Amen.